Predictive modeling can help prevent suicide-related behavior by identifying patients at risk for suicide. VA has implemented a new suicide prevention initiative that uses predictive modeling to identify Veterans at risk: REACH VET. VA's predictive modeling draws from existing medical record data. Following identification of patients at risk, coordinators notify each patient's provider of their high-risk status and orient the provider to the dashboard. Preliminary evaluation results show a positive impact on Veterans engaged by REACH VET: more health and mental healthcare appointments, decreases in percent of missed appointments, fewer inpatient mental health admissions, and lower all-cause mortality. REACH VET coordinators at each facility are responsible for monitoring the REACH VET dashboard that identifies those at high risk and tracks next steps for coordinators and providers. Following identification of patients at risk, coordinators notify each patient's provider of their high-risk status and orient the provider to the dashboard. Providers are required to re-evaluate the patient's care, determine if care enhancements are needed, and contact the patient. Supported by a competitive HSR&D planning grant, the Office of Mental Health and Suicide Prevention (OMHSP) partnered with Dr. Landes and her evaluation team to develop an evaluation plan while the REACH VET program was being developed. This partnership resulted in HSR&D funding for a randomized program evaluation of the implementation of REACH VET. Dr. John McCarthy is evaluating the impact of the REACH VET on patient-level outcomes. The REACH VET facilitators are three clinical experts in suicide prevention who were trained in facilitation, along with their supervisor and the REACH VET National Program Manager. Having the facilitators, their supervisor (the clinical lead for REACH VET), and the operational partner together for the training allowed for discussions about how facilitation for REACH VET would proceed. Having operational partner leadership at the training resulted in more informed decision making, as all involved parties were present and able to discuss options with facilitation experts. The evaluation team also attended the training, allowing for tailoring of evaluation. REACH VET facilitation includes an in-person site visit for collaborative implementation planning and ongoing virtual support for six months. OMHSP is providing facilitation in a stepped wedge design to seven VISNs identified as needing additional implementation support. The four lowest performing facilities in each participating VISN will receive facilitation. The evaluation team will include these 28 sites in their assessment. Facilitation in the first VISN began in August 2017 with site visits and the third VISN began facilitation in March 2018. The evaluation team is evaluating numerous implementation outcomes, including: 1) reach: the proportion of patients identified at each facility who receive the REACH VET intervention; 2) adoption: the proportion of mental health and primary care providers in each facility that participate; 3) implementation fidelity: whether facilities implemented all components of the intervention as directed by the memos and the REACH VET program website; and 4) cost of implementation: the amount of effort and time needed to offer virtual external facilitation. The evaluation team is also assessing the organizational context of each facility using the Organizational Readiness for Change survey. The team will conduct qualitative interviews in order to assess the overall facilitation process, including barriers and facilitators to implementation. 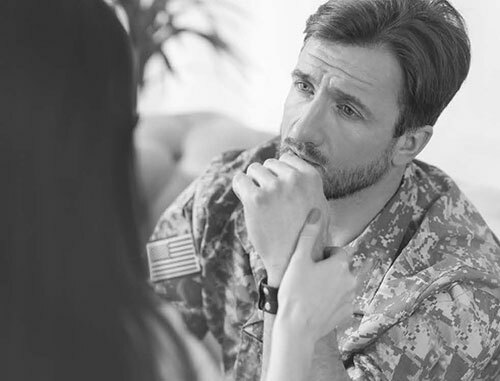 This project, in collaboration with the Behavioral Health Quality Enhancement Research Initiative (BH QUERI), is one of four projects evaluating facilitation with a common set of measures to advance our knowledge of the use of facilitation to implement complex interventions in VA.
McCarthy J, et al. "Predictive Modeling and Concentration of the Risk of Suicide: Implications for Preventive Interventions in the US Department of Veterans Affairs," American Journal of Public Health 2015; 105:1935-42. Powell BJ, et al. "A Refined Compilation of Implementation Strategies: Results from the Expert Recommendations for Implementing Change (ERIC) Project," Implementation Science 2015; 10:21. Ritchie MJ, Kirchner JE. "Facilitation: A Key Strategy in the Field of Implementation Science," HSR&D FORUM June 2017. Matarazzo B, et al. "REACH VET: Predictive Analytics in Practice," Presentation at the annual conference of the American Association of Suicidology, April 2018, Washington DC.